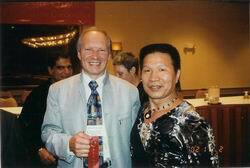 During the Fifth World Congress on Qigong in San Francisco, California Nov 1-2, 2002 several measurements were taken by a famous American Soviet scientist Dr. Konstantin Korotkov of Master Tu Jin-Sheng’s energy field both before and after his performances. Fig.1 depicts the energy field of Master Tu in his calm relaxed condition after dinner. This type of field is typical for a person who is considered – for all intents and purposes – to be healthy. After the first exercise, the image of his field changed dramatically. This can be seen clearly in fig.2. The field is beginning to scatter and very specific attachments appear at the upper back on both sides. The same scattered pattern is maintained after the second exercise (fig.3). However, it becomes even more exaggerated after the third (fig.4). This pattern of energy field transformation is typical for a person undergoing transition to an Altered State of Consciousness – ASC (see description in [1,2]). In this state, the frequency of the field increases dramatically and transforms to the UV part of the spectrum, which is currently beyond the capability of the current GDV camera technology to capture. This creates the appearance of deterioration in the field. However, the physical principles are absolutely different from similar looking fields of those who are in a disease state. This is clearly presented by the GDV Diagram picture (fig.5). The relaxed condition is typical rounded diagram for both hands (curve 1, yellow). In the first exercise Master Tu clearly moved Yang energy to the right hand as reflected by the type of diagram curve (curve 2, black) while the left hand curve remains rounded as in relaxed state. In the third exercise we see that the situation is reversed. This time it is the curve of the right hand that remains rounded whereas the curve of the left hand is star-like (curve 3) indicating that Master Tu was moving Yang energy to the left hand. The diagram curves after the fourth exercise show star-like patterns for both hands (curve 4). This type of curve is absolutely unique: it never occurs in the diagrams of individuals who are either healthy or in a disease state. In this case Master Tu use YANG energy and move it to BOTH the left and right hand. The patterns of fingers BEO-grams are very interesting as well (fig.6). In relaxed state after dinner, they are typical for a practically healthy person (fig.6.1). But after the first exercise we see very specific changes in the pattern for all the fingers of the right hand (fig.6.2). This pattern specifically indicates transition to an ASC [1,2]. Patterns on the fingers of the left hand changed, but not as strongly. In this exercise Master Tu intended to send YANG energy to the right hand. 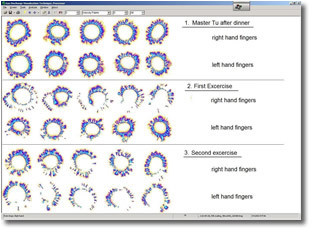 After the second exercise, significant changes in the finger patterns appeared on the left hand (fig.6.3). This condition remained after third exercise (fig.6.4). In both cases Yang energy was sent to the left hand. 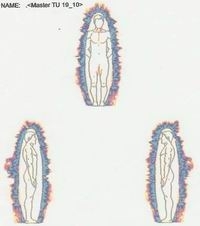 After the Yin exercise (Master Tu was standing on the eggs painting picture) fingers of the both hands had the same type (fig.6.5) much fainter compared with relaxed state (fig.6.1). After the Yin exercise, Master Tu increased energy in his upper chakras creating an ascending line (line 5) differing from descending character of his chakras while he was in a relaxed state. 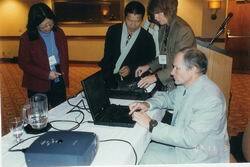 During the exercises, Master Tu transformed to an Altered State of Consciousness. 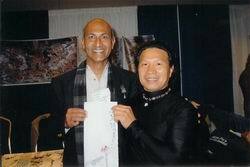 Master Tu was able to send YANG energy to different hands at will. Master Tu manipulated his Chakra energy according to whether he was performing Yang or Yin exercises. 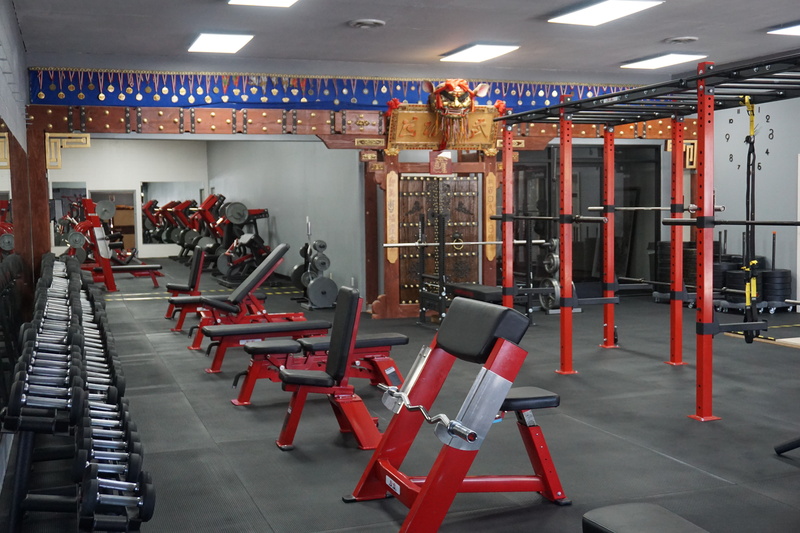 The results of these measurements demonstrate that Master Tu has outstanding abilities in consciously and repeatedly manipulating his inner energy and that this ability was clearly demonstrated over time by multiple measurements using GDV technology.